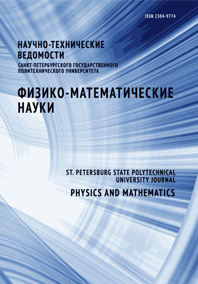 Plyastsov Semyon A. Naberezhnov Alexander A. Filimonov Alexey V. Porechnaya Nadezhda I.
Alkali-borosilicate glass doped with iron oxide has been studied using magnetic force microscopy (MFM). The distribution of magnetization on the material surface was obtained (MFM-image). The estimation of magnetic structure parameters (size of magnetic domain, coercive field value) was performed.